Since 1990 Associate Cathleen Schanzer, MD, has served as the anchor surgeon and Medical Director of Southern Eye Associates in Memphis, TN. 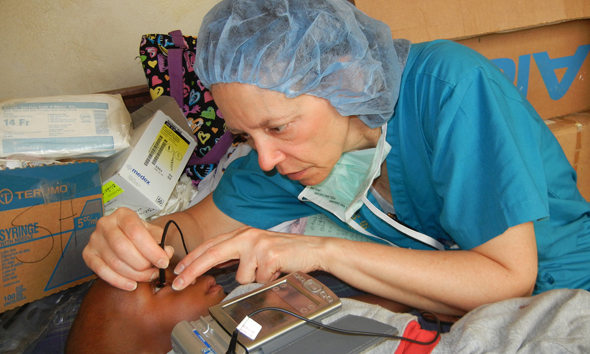 Because of her love for the poor and underserved of our world, Dr. Schanzer has traveled to Africa on medical mission trips since 1988 to offer high quality surgical eye care to those suffering from treatable vision loss. In 2006, Dr. Schanzer established Southern Eye Clinic of Serabu in Sierra Leone, West Africa where she performs hundreds of surgeries and treats thousands of patients every year.